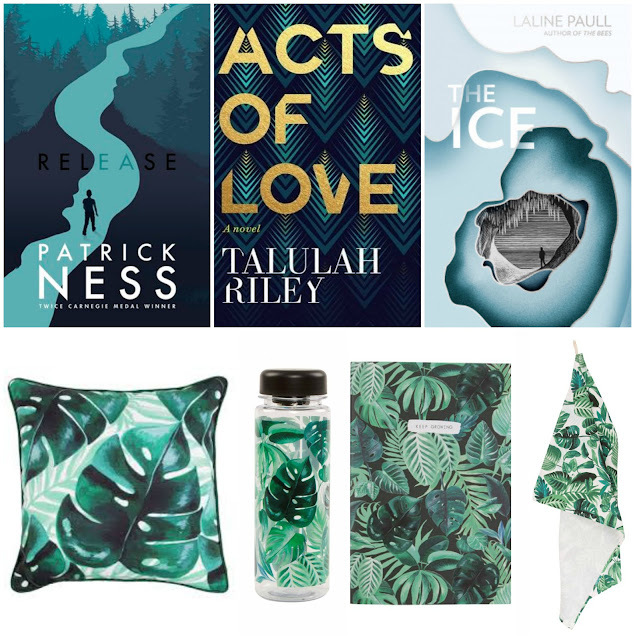 Enter this giveaway for a chance to win three signed hardcover books and a Sass & Belle Botanical Jungle pillow, bottle, notebook and tea towel. Wilderness Survival For Dummies. It makes sense and would hopefully offer a practical guide on the tools and techniques to staying safe, finding rescue and living to tell the tale. I'm not sure, I wanna say a survival book. However I would be less stressed if I had something for entertainment. I'd bring one of my prepper books. Hopefully it would have some survival tips that would apply to being lost in a jungle. "If you'd have to spend a couple of days in the jungle, which book would you bring and why?" Proust. Because Proust would give me enough reading material. There would be no time for reading! I'd take binoculars so I could bird watch. One of Ray Mears's books on survival! Vanity fair - to keep me reminded of people and their myriad personalities, good and bad! I would rather explore than read if I get the chance to spend a couple of in a jungle, maybe some guide book about the local flora and fauna. I'd definitely bring a survival guide with me unless we're talking about the kind of jungle that encloses a 5* hotel ... then I'd go for some light chick-lit while relaxing at the pool, haha! Ooooh that's tricky! I reckon I'd take the Jungle Book - what better! I would bring a really thick book to swat all of the bugs! I'd bring a lighthearted/funny book so I could stay in a good mood. The longest one I could find! I'd bring a book showing me how to forage for food and water and giving survival tips. There is absolutely no way on this earth that I'd spend a couple of days in the jungle - venomous snakes and spiders, animals that are hungry, things that bore under your skin, infections of various kinds. Heavens no, it gives me the creeps just thinking about it. I'd be dead by the time I could even think of reading and my mind would be in overdrive and I'd be incapable of reading a word let alone a sentence. Perhaps a survival book would be helpful, building a shelter etc. right now I am reading the Outlander series and would take the current copy toread because I just love historical books. A book about surviving in the jungle for obvious reasons. Hmm maybe The Forests of Beats! It was set in the jungle! Very interesting! How to survive in a jungle, lol. Because of obvious reasons. Lord of the Flies - as a warning about what could happen if you let things slide! Robinson Crusoe to learn survival techniques. I would not bring any books. I will enjoy the stay. "Jungle Survival Tips" for obvious reasons! I would bring series of books with me. I love series. I would make sure I had two or three of the set. Ideally & would already know any survival skills I might need, so I'd bring the Harry Potter series. They're highly entertaining & I can read them over & over again. Ideally I'd take a book I hadn't read before, but then there's a chance I might not enjoy it. So I'd plump for Harry Potter and the Goblet of Fire, my favourite of the series. War and Peace - I would have the time. I would bring a Dummies Survival guide because I know nothing about outdoor survival techniques. the jungle book. it might help the animals seem more friendly! Tarzan! With some survival tips. I would bring what do I need to know to service in the Jungle type of book. I would pick a handbook that showed basic survival, what types of food/water is safe and wildlife to watch out for. I would bring some sort of survival book to help me stay alive, until I could get out of there. I'd bring "Tarzan" by Edgar Rice Burroughs. A romance one. Seriously, I'm not getting out of there, lol.